It’s a fact that our genes have not changed for thousands of years. We have the same genetic make up as our ancestors. It’s a fact that our ancestors did not suffer from the chronic diseases plaguing western societies nowadays, namely, diabetes, stroke, heart disease and cancers. It’s also a fact, that cultures around the world today, who live a similar lifestyle as our ancestor, do not experience the chronic diseases that we suffer from. Simply put, our genes cannot be blamed for the current ill health of western societies. Our lifestyle, on the other hand, should be. We are currently enduring chronic diseases produced by a mismatch between our genetic requirement for health and our “modern lifestyle”. 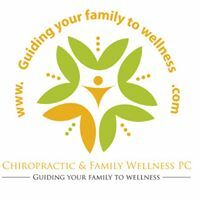 Stated another way, our health and wellness are dependent on proper gene expression. Our genes were originally selected or designed for a lifestyle like our ancestors’. A lifestyle that involved hunting and walking around gathering fruits, vegetables and nuts. Our ancestors had to walk, run, climb, lift, farm, gather, dig… They lived a very active life style. Our ancestors never had to eat hydrogenated oils, high fructose corn syrup, white bleached flour, sodas and the rest of modern day “marvels”. Our genes, like their genes, are designed to have physical activity, vegetables and fruits. Our genes require them for proper gene expression. Since those same genes have not changed, then we still require the same type of lifestyle as our ancestors for proper health. However, our lifestyle has changed, producing the mismatch that fosters the chronic diseases of modern society. Our modern lifestyle is not congruent with healthy gene expression, nor with health and wellness. This should be good news. Since we cannot change our genes nor select our parents, it’s good to know that there is nothing wrong with our genes. The problem is our lifestyle and we can do something about that. How do we return to normal genes expression? What is a healthy life style? How do we implement it? How do we reach our optimum health potential? That is what we focus on in our office. That is what we cover in our lectures. That is what our wellness program consists of.